In which a ‘doomed’ 15th century painting is saved by the rain. On a dry day from the bell tower of Holy Trinity Penn, it is possible to see the seven neighbouring counties. I was content however, to nose around indoors, on the lookout for the famous ‘doom’ painting; the main reason this church is of such cultural and historical significance. I got the strong impression this church is still a vital community hub, with feverish wedding preparations underway and so tried not to get in the way of the florist and a busy vacuum cleaner. In the capable hands of local guide Helen, who modestly professed to not knowing much about the history of the building, then proceeded to dazzle with her huge knowledge; brass rubbings, the Penn family crypt, lozenges adorning the walls, medieval Penn tiles in the lady chapel, the doom painting of course, church extensions and renovations and not forgetting those buried in the graveyard. Now set high on the east wall, the 15th century ‘doom’ painting is still looking as bright and fresh as the day it was painted. One of only five surviving wooden tympanums in the country, it would have been purposefully positioned for worshippers as they faced the alter. A “dooms day painting” is a traditional English term for an image of the Last Judgment when Christ judges souls to send them to either Heaven or Hell. A crude but effective part of the eclesastical warning system to illiterate congregations, to toe the line or face judgement on the day. This one not only survived the English Reformation, it survived being tossed into the skip! During renovations in the 1930’s, the now whitewashed wooden panels, were stripped and placed outside, destined for the bin. By good fortune it rained overnight and when the vicar returned the next morning, he saw faces peering out at him through the whitewash. Their cry for help answered? That is surely a reason to love the rain! Now safely re-instated inside the church, looking as bright as the day it was painted 500 years ago. At the entrance, there is an inscribed vault stone to mark where Thomas Penn, one of William Penn’s sons, who was allowed to build a large vault beneath the church nave for himself, his brother and four of his children who were interred between 1753 and 1766. The Quaker and founder of Pennsylvania however, is buried at the nearby Jordans Quaker Meeting House with his first wife, Guilielma, his second wife, Hannah, and nine of his children. Despite the many offers to have him moved to Pennsylvania, he remains in the quiet Chilterns churchyard. As Helen waved goodbye, she pointed to the one hand on the clock tower and told me that during the 17th century a one-handed clock was all a villager needed, minutes where simply too much information! 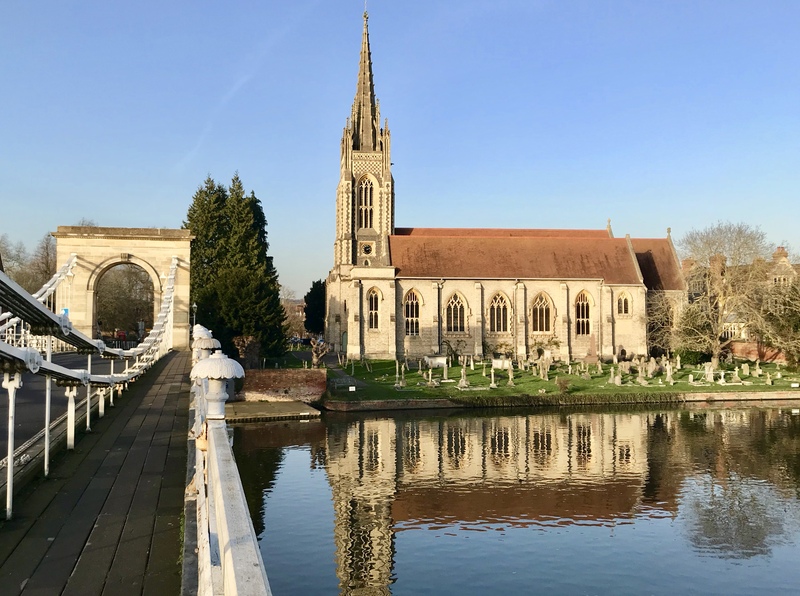 On a dry day from the bell tower of Holy Trinity Penn, it is possible to see the seven neighbouring counties including; Hertfordshire, Oxfordshire, Berkshire, Greater London, Bedfordshire, Northants and Surrey. I’ll have to return to see the view for myself. This is what I love about parish churches, they are an essential part of not only our local Chilterns story, but the nation’s story too. Unlike a museum, they are stuffed full of treasures, but none kept behind glass, or in spaces filled with tour groups, these are a snapshot of history, watched over by individuals keen to generously share. 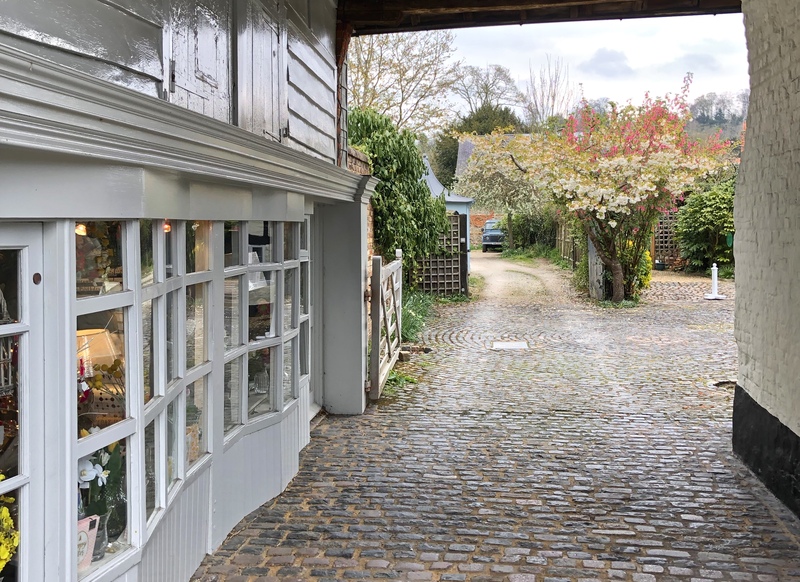 I recommend that during the Heritage Open Days event in September, to visit the nearby Penn House which is the other half of the Holy Trinity story in the Chilterns. There are plenty more to explore, and do please let me know if you have other Chilterns churches to recommend. 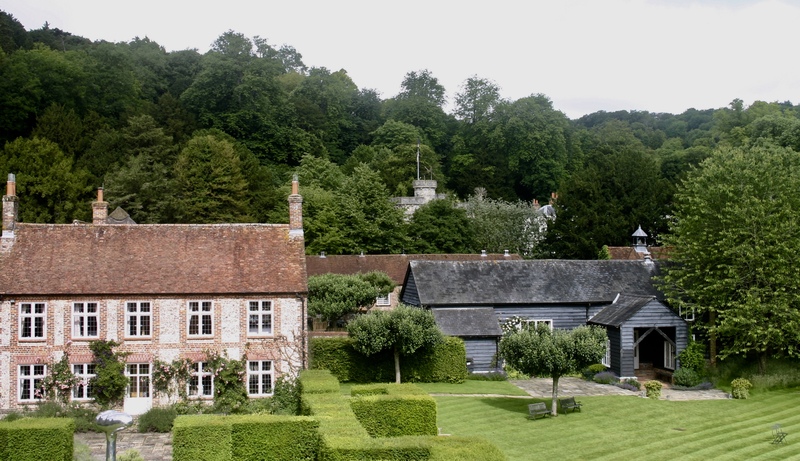 I have previously written about the Wormsley Estate, so typical of the Chilterns: slightly bonkers, intriguing and tucked away in a beautiful place you have probably unknowingly walked past many times. 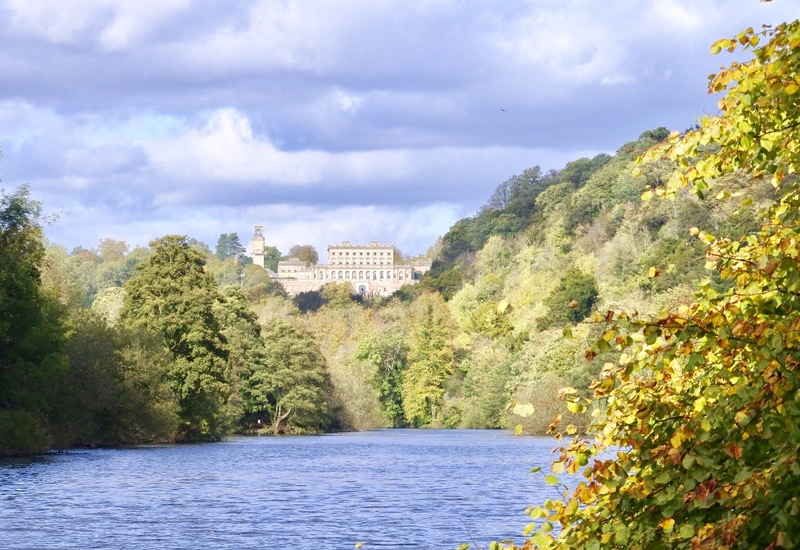 All 2,500 acres flow between a deer park, ornamental lakes, the “Sir Paul Getty’s cricket Ground” and mock Tudor pavillion, an opera house, Wormsley Library and private castle; each notable in their own right, but all together on one estate? I am not worthy. The late Sir Paul Getty’s first love was cricket, but high up on his list must surely have been rare books and manuscripts as he filled his Wormsley library with amongst many others: 12 – 15th century illuminated medieval manuscripts, the first edition of Caxton’s Canterbury Tales, Anne Boleyn’s Psalter and the first folio of Shakespeare’s Comedies, Histories and Tragedies, no less. I really like the library, as it has a lived-in, welcoming feel, which is unexpected for somewhere that houses a collection of this importance. The chairs around the fire have the previous occupants’ impressions left behind and I wondered if they had sat fireside, and leafed through a precious volume with a familiar title, but we would most likely never see an original copy? Invited on a private tour, with a robust schedule, we were ushered past the opera house with instructions not to photograph the private residence, nor further aggravate the already aggravated dogs who were going mad on the other side of the fence, so we tiptoed along roped-off pathways, stealing sideways glances whenever we could. We had 15 minutes in the library. Never enough time in any library in my view, so taking a deep breath, I had to be on my toes to ensure I at least covered off the key contents. Why is it that some books of such staggering historical and cultural significance can sometimes look like something picked up for a tenner at a car boot sale? The only indication they are rare is that they are in fact included on the bookshelves with this collection, and those with their pages open, delicate gold-flecked images and painful writing on display that the saying ‘you can’t judge a book by its cover’ really starts to take on meaning. You can see images of Anne Boleyn’s beautiful Psalter at the Morgan Library & Museum New York. This tiny book measures a mere 5-by-3 1/2 inches and bears Anne’s coat of arms and monogram combined with that of Henry Vlll. The 275 vellum leaves were written and illustrated in France between 1529 and 1532, and this is a French translation from Hebrew of the biblical Psalms. Takes your breath away. Another gem is the first edition of the Canterbury Tales, the greatest work in Middle England printed by William Caxton in Westminster between 1476-77 is only one of seven complete or substantially complete copies, and the only one if private hands. Would you take that out and read by the fire? Perhaps not. 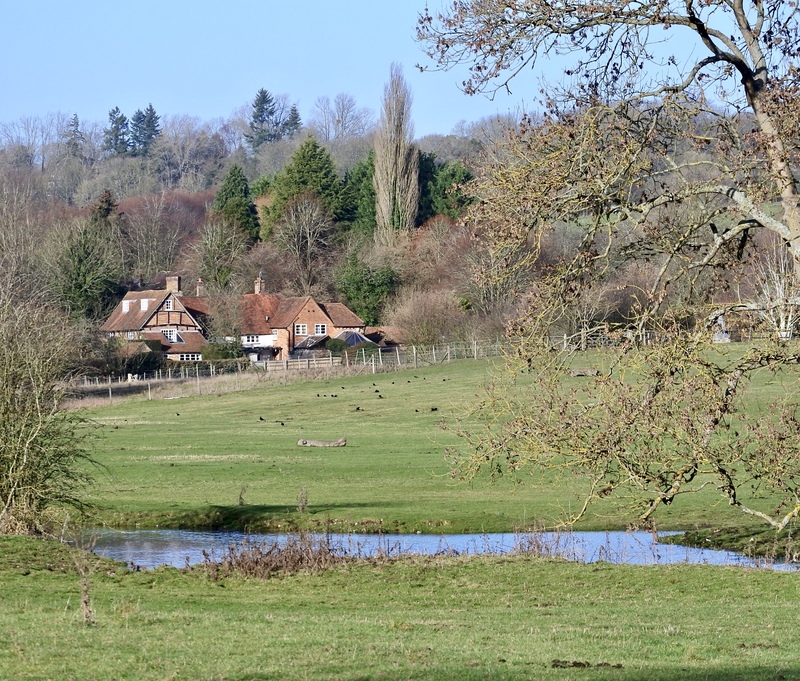 Located between Stokenchurch and Watlington, Wormsley Park operates as an organic farm and many red kites can be seen in the vicinity. Once extinct in England and Scotland, the birds were reintroduced into England in 1989 with Windsor Great Park being the release site. All did not go to plan and without the intervention of Sir Paul, who offered Wormsley Park instead, the project would have been lost, and along with it, what is now considered to be the icon of the Chilterns – the magnificent red kite. In spite of an abundance of things to be showy about, you will find the Chilterns one of the least-showy places in England. You have to know where to look and whom to ask. I recommend signing up for a twitter account if you don’t already have one, that way you are bound to be in the know. Another local library that will knock your socks off, is the Rothschild Foundation at Windmill Hill, Waddesdon. 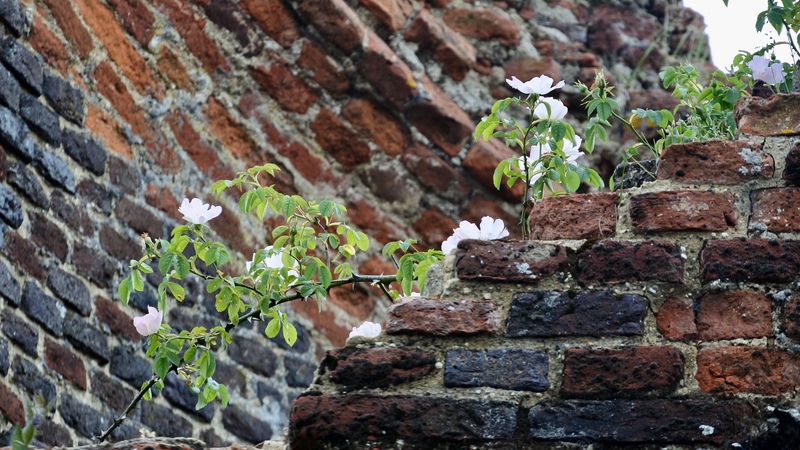 For more Chilterns ideas and inspiration.